Hyundai is finally offering ABS, EBD and dual airbags as standard on all variants of Xcent as ABS and EBD were earlier available only in top two variants. The company has also revised variant lineup of Xcent and the compact sedan is now available in four variants – E, S, SX and SX (O). The Xcent features list has been updated as all variants except base E comes with front fog lamps, rear defogger, day and night inside rear view mirrors and rear parking sensor. The top two models also get rear camera with display on the audio system as standard. Hyundai has packed Xcent with lots of features like 7 inch touch screen infotainment system with Apple CarPlay and Android Auto, Bluetooth connectivity, USB, Aux-In, climate control, steering mounted audio controls, key less entry, push button start, cooled glove box, alloy wheels and more. 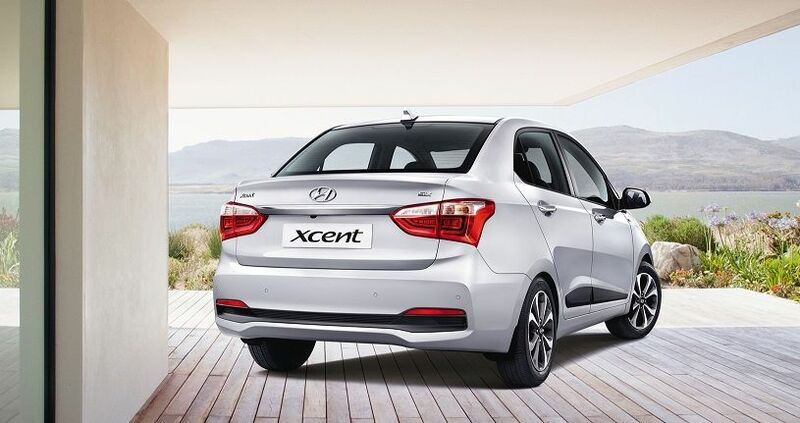 The Xcent received a major facelift last year as the new model comes with signature grille of Hyundai with new bumper and fog lamp housing gets a new design along with LED DRLs placed on top of it. The side remains to be same except for new 15 inch diamond cut alloy wheels. One of the weak points of pre-facelift model was its rear design as the new model gets an all new design for the boot along with new tail lamps and an updated bumper. The changes for Interior are minimal as design and quality of materials is par among with rivals, the Xcent also offers decent space for front and rear passengers. Hyundai Xcent is powered by 1.2 L Kappa engine produces 83 PS and 113 Nm, the new 1.2 L diesel engine puts out 75 PS and 190 Nm. These engines are mated to 5 speed manual gearbox and 4 speed auto is only available with petrol engine. The company has also revised price of Xcent and new model starts at Rs. 5.61 lakhs (Ex-Showroom, Delhi).